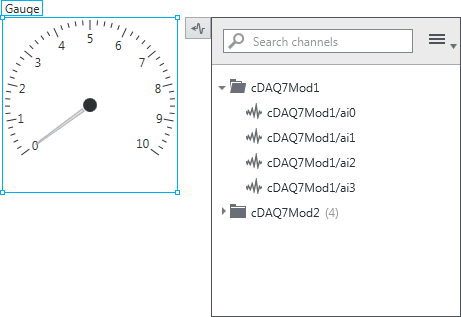 You must have channels added and configured for your FlexLogger project in order to visualize data from your sensor signals. Refer to the Configuring Your Measurements topic for more information. Indicators on the Screens document display the electrical signals, but do not indicate that you are logging data. Use the Start Logging and Stop Logging buttons at the top of the document to control data logging. Refer to the Logging Data topic for more information.